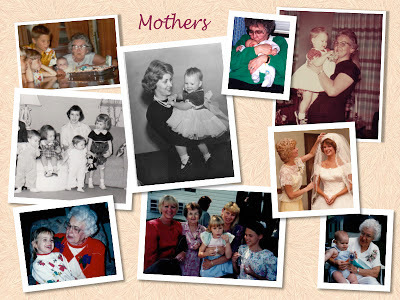 On this Mother’s Day, I count myself incredibly fortunate to have two wonderful women in my life: my Mom, whose love and belief in me has never wavered, and my mother-in-law, who has opened her heart to me as a fourth daughter. I appreciate both of them beyond words. I also cherish the memories of my grandmothers, Nora (Eberhard) Ballenger and Wilma (Steele) Herrel, whose stories, songs, and traditions provided much of the basis for my interest in family history. And on Mother’s Day especially, I count my blessings for the ones who define my own role as a mother. 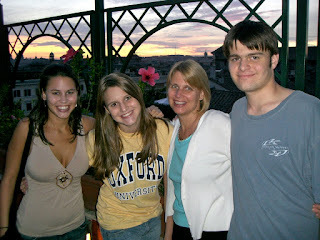 I have three great kids who constantly amaze, amuse, occupy, challenge, delight, and enrich me. They are the heart and soul of my life. While I don’t talk about them much here on my blog, they’re always on my mind, and I’m so proud of each of them. Of course, generations of mothers have shared this kind of joy in their children. I think one of the benefits of being a genealogist isn’t just learning to find information, analyze evidence, and draw sound conclusions. It also lies in something less tangible, which is feeling—and valuing—the links that bind one generation to another. From past to present to future. I hope that quality is part of the legacy I’m weaving for my kids—something that helps them know who they are, and where they came from. To me, as a mom and a family historian, that feels like something worthwhile. Shelley, I've been realizing that, myself, as I write on Mother's Day topics: something inherent in being a mother zeroes in on furthering family connections. I know how you feel about your three kids--and they each are admirable in their own ways--and I certainly see the connections between generations as you talk about your own mom and mother in law. Thank God for those connections and the richness they bring to our lives and those to whom we pass this along. Best wishes to you and the moms in your life on this Mother's Day! It is a richness to be thankful for, Jacqi, and you expressed it so well. It's not something we pause to think about very often, but it's nice to have a reason to. Thanks for the lovely comment, and best wishes to you, too! Shelley, you and your three children look like a very happy family. I am glad for all of you. Yes, I agree with you about "the links that bind one generation to another." If it were not for those links, where would we all be? 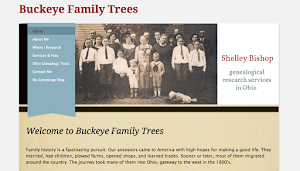 Genealogy puts those links front and center. That's a good way to put it--front and center. Many thanks, Mariann. Such precious photos, Shelley. What a nice collection, too. I love the one of you as a bride with your mom adjusting your veil. Your daughters are beautiful, your son handsome. I want to leave comments on some of your others posts (some from months ago) but I have to do it earlier in the day when I'm not so tired. I so appreciate your writing and your insights and thoughts about your post topics, Shelley. You're doing a great job! Thanks so much for the kind words, Nancy. I hesitated to post this at first, because it's more personal, but your comment makes me glad I did. It means a lot to know you enjoy reading my observations, for what they're worth. By the way, I read other blogs at the end of the day, too, and know exactly what you mean about being tired. Another reason I appreciate the words of support! 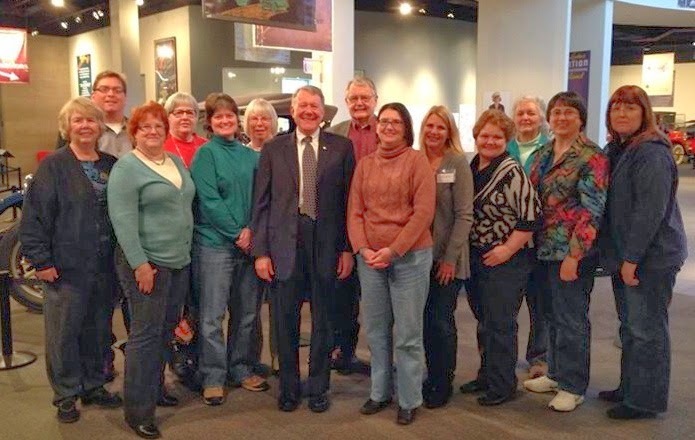 Why Attend a Genealogy Conference?